British No 1 Johanna Konta suffered an injury setback just a week before the start of the Australian Open. The 27-year-old, ranked 38th in the world, has withdrawn from the Sydney International due to a neck problem. She retired 18 minutes into her second-round qualifying match against Russian Ekaterina Alexandrova while trailing 4-1. 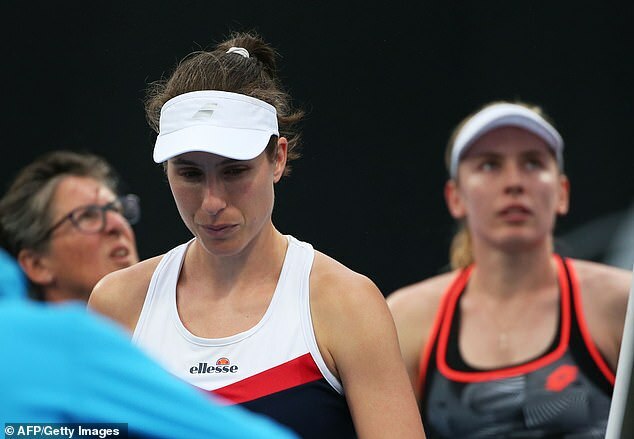 Sydney-born Konta reached the semi-final in 2016, and would have been hoping for a similarly impressive start to her season. Elsewhere, compatriot Heather Watson booked her place in the Hobart International main draw with victory over Isabelle Wallace. Having already dispatched Naiktha Bains in the first qualifying round, the British number two advanced after securing a 6-4 6-4 win against 22-year-old Australian Wallace. In what looked like it could be a back-and-forth encounter, with both players dropping their opening serves, Watson settled her nerves to immediately break back in the third game and secure the opening set in 45 minutes. The 26-year-old, who won the 2015 title and reached the semi-final last year, failed to take advantage of two match points at 5-4 but dug in to serve out for the match. Quoted on the tournament’s website, Watson said: “When I come to Hobart I’m always feeling really positive and excited about the tournament.